I'm interested in many things, but for a mostly Tech based website, I thought it fitting to focus this potted history on my love of electronics over the years. This story is actually quite typical among engineers. I can't remember exactly when I first became interested in electronics, but I do remember a pivotal moment that put me on the path. I must have been around 11 years old when I came across a book called 'how to build a crystal set' in my local Woolworths. I hadn't even heard of a Crystal Set before, let alone built one. Up until now I'd loved playing around with bulbs, batteries and motors, but this was different, and had to be done. My first attempt was hit and miss because I hadn't a clue what a variable capacitor was, so goodness knows what I used instead. But, when I connected up my bed springs as an aerial and a central heating pipe as the earth, things started to happen. I can't explain the excitement I felt when I heard for the first time, voices coming out of the little earpiece. From that moment on, I was hooked by the electronics bug that would stay with me throughout my life. After that first crystal set and it's much improved offspring, came amplifiers. Now I could listen through a loudspeaker instead of an earpiece, which I invariably found wrapped around my neck when I woke up in the morning. The thing is though, I was learning, and the learning was effortless because it was fun. 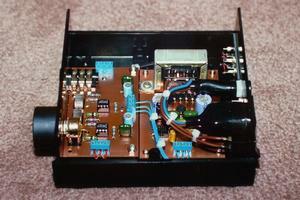 I remember building a super regen receiver. These were great because you could get lots of sensitivity and selectivity, and this opened up for me the world of short wave radio. To hear stations from around the world was brilliant, but I needed more performance. That's when I built my first superhet receiver. It was a design by R.A.Penfold and I was 'dead chuffed' with it. This was near the end of my school years so I must have been 15 years old at the time. In parallel to my love of radio was my love of audio. They kind of go hand in hand. 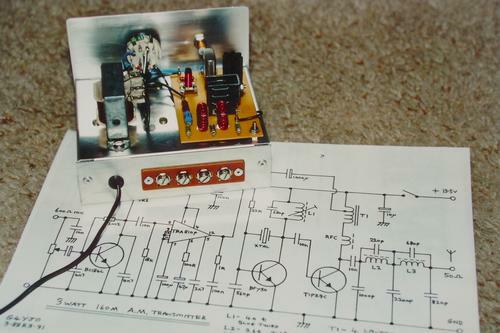 The simple class A amplifiers I'd built for my early radios and the push pull circuits using OC71 transistors were my 'Audio Education' and the stepping stones towards the more powerful HiFi amplifiers that were yet to come. 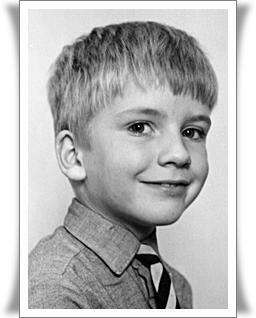 On leaving school I started a television engineering apprenticeship with a company called Radio Rentals (sadly no longer around). They rented televisions and video recorders. Televisions were new to me, but hey, they were radios and had amplifiers in them so how hard could they be! I studied electronics for three and a half years at Southgate Technical College in north London, which was good for me as I'd never lived away from home before. It was all new, exiting and scary at the same time, but I survived. So Radio Rentals took me on permanently, and it was at the time of the first VHS recorders. As the new boy, I was heavily involved with these because the 'old school' television engineers were terrified of the new fangled technology. VHS is now of course, very old technology, but it was good stuff at the time. Working in an electronics environment and having it as a hobby too, was great. 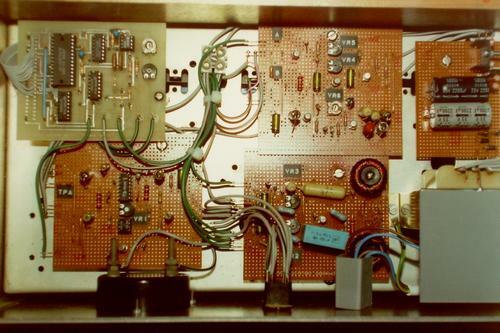 I had access to lots of scrap circuit boards that I could strip down for parts for my projects, and some televisions still had wooden cabinets that could be sawn up to make enclosures for my stereo amplifiers. I learnt a lot during those years and built tons of stuff. I still had an interest in radio, and was not satisfied with just listening. I wanted to get in on the action and transmit as well. 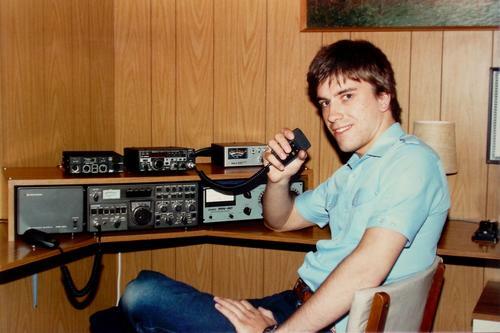 So while I was studying at college, I was also studying for the radio amateurs exam. I passed this and obtained a class B licence. My call sign was G8ZTE. This limited my transmissions to VHF and above, but it was still great fun using my Icom IC2E hand held 2 metre transceiver. I joined a local radio club which was called the M.A.R.T.S (Medway Amateur Receiving & Transmitting Society) and made lots of friends there. I went on to learn morse code and took the morse test at North Foreland lighthouse. Passing this allowed me to have a full class A radio licence and my call sign became G4YJO. 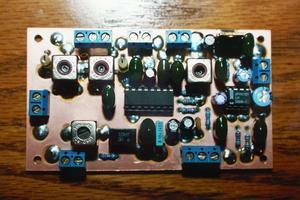 Having access to so many radio bands, now gave me the urge to build my own transmitter. My favourite band as a listener was 160 metres AM. To hear all the local old codgers chatting away on their Sunday morning 'Frankly Speaking Net' was a delight, and it wasn't long before I joined them, though I think they were just tolerating the young 'transistorised' upstart. I was in my mid twenties and to me they seemed about a hundred! Us youngsters (Myself G4YJO, Peter G4UJG & Tony G0PZX) started our own Sunday evening net called 'The Doom and Gloom Net' where we would discuss the taboo subjects of (according to the licence terms anyway) politics and religion. We would chat for hours, but it was also a good test for our little home made transmitters. There was more to radio than just talking though. 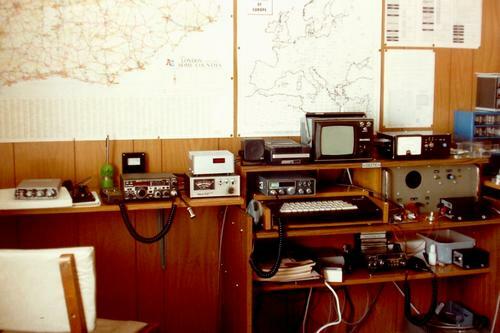 Radio hams had adopted a system called RTTY (Radioteletype) which in the old days, was used to send telex messages around the world. When I think about it now, it was an early form of email. The real enthusiasts used commercial mechanical printers but I didn't have room for one of those, so instead, I used a well modified Sinclair ZX81. At the time I didn't like computers at all, but it was the home made part called the terminal unit that I was more interested in. This was the bit that converted the data stream into sound and vice versa, so that information could be sent as audio over the air. 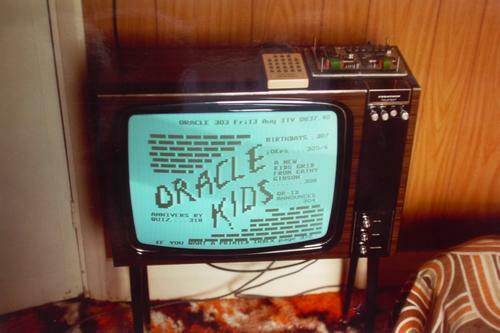 It was very exciting back in the 80's seeing text scrolling up a TV screen, as someone far away was chatting to you. The ZX81 was notorious for crashing though, and would regularly do so whilst in the middle of a conversation! What happened next hobby wise was a surprise to me. My friend Neil gave me his old computer. Up to that point I'd not had much interest in computers at all and thought they were incredibly boring, but now for some reason I was ready to bite the bullet and have a go. And you know what? I became hooked! I spent hours and hours and hours playing with my new toy. I didn't realise just how much I was teaching myself because it was so much fun. I kept seeing new possibilities, and wanting to achieve those possibilities became the driving force that made learning so effortless, and soon I was up to speed. It wasn't long though before I wanted to build my own PC. To my mind, they don't really count as an electronics construction project, as all the parts are ready made. It's more assembling than actually constructing. If I had soldered all the components onto the motherboard then yes, I could say I built it. That will never be possible for the home constructor, but assembling a PC is enjoyable, and I still end up with a working finished product. I think what got me with computers was that I could see they were not just one thing. They were whatever I wanted them to be. And one of the things I wanted mine to be was a radio. I had grown up with a great love of talk radio, I guess from listening to short wave broadcasts on my home made receivers. 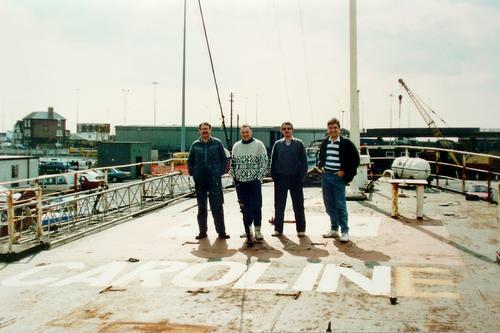 I also enjoyed the late night phone ins on LBC and the American religious broadcasts from Radio Caroline, a pirate radio ship out in the North Sea. But now I could hear American talk radio over the internet. At last there was something worth listening to again! Talk radio in the UK has always been restricted in what it can do or say, but over in the States, it's refreshingly open and free. Over there they don't presume everyone's stupid and pitch the conversation for the dumbest. They tell it like it is and if you don't like it or understand it, then you can simply tune into another one of the hundreds of stations. It's free speech and it's good, but we'd better make the most of it because it's a blessing that won't be around forever. If the digital revolution has made worldwide communication so easy for everyone, is there really a need for conventional radio any more? Will anyone ever discover the thrill of hearing a voice from a distant country crackling over a loudspeaker when they have in their pocket a tiny communication device that can instantly connect them to anywhere on Earth with crystal clear clarity? I think not, and I understand why not. I find myself listening less and less to terrestrial broadcasting and more and more to online content for the same reasons. The old way has been superseded by something better, not in everyone's opinion granted, but the digitizing, storing and moving of data from place to place has way surpassed anything that could be achieved by analogue means, and the sheer convenience of it all will, if it hasn't already, send traditional methods of communication into the realms of nostalgia. To be able to listen to what we want when we want is a joy. No longer being tethered to a radio schedule, the choice of time and content is ours, and with the broadcast gradually being replaced by the podcast, this ideal is encompassed perfectly. So it's with great affection that I remember my first home brew radios, but at the same time, I'm thankful that I live in the digital age as well. The contrast is staggering but wonderful, and I'm looking forward to the technology of tomorrow. My only hope is that it will be for us and not against us.